Toilet paper rolls are amazing. 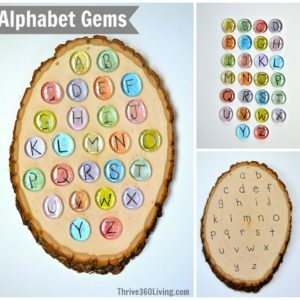 There are so many activities that you can do with them. 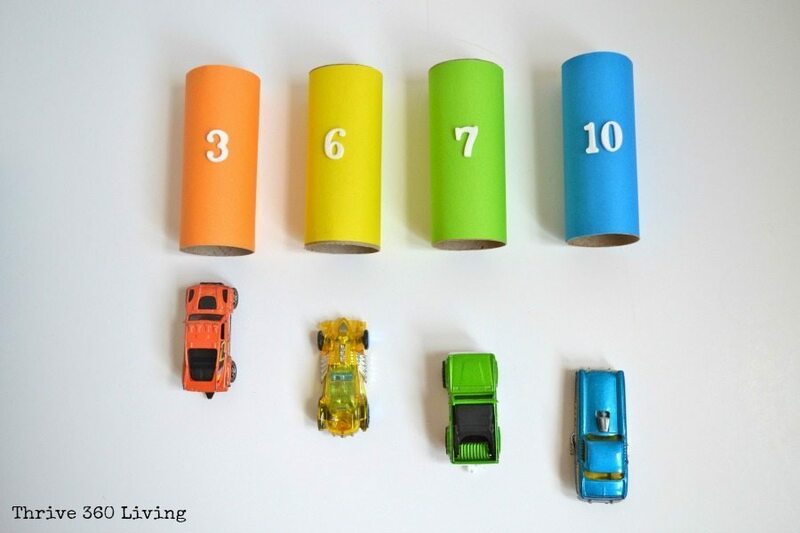 As part of the 100 Days of Play Blog Hop, I came up with five easy games you can put together using your saved toilet paper rolls. To make my rolls a bit prettier, I dressed them up with origami paper using my favorite double-sided tape to attach each piece. I love this package of papers because of the color variety. For the numbers I used foam stickers, but you could also just use a marker. 1. 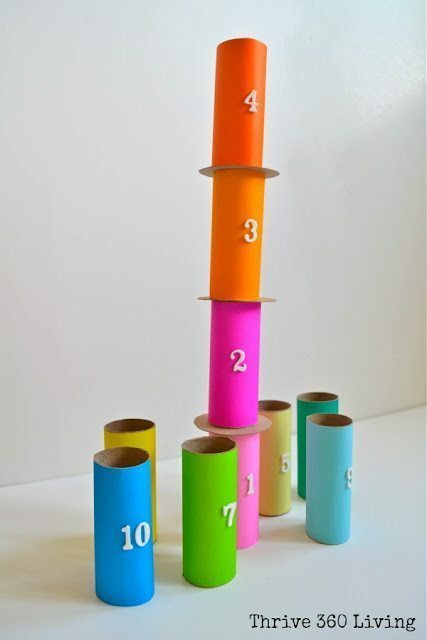 Stacking Tower – If your child is a builder he or she will love stacking tubes. I cut out cardboard circles to use as a base between each roll. The stacking tower is a fun and interactive way to teach counting. 2. 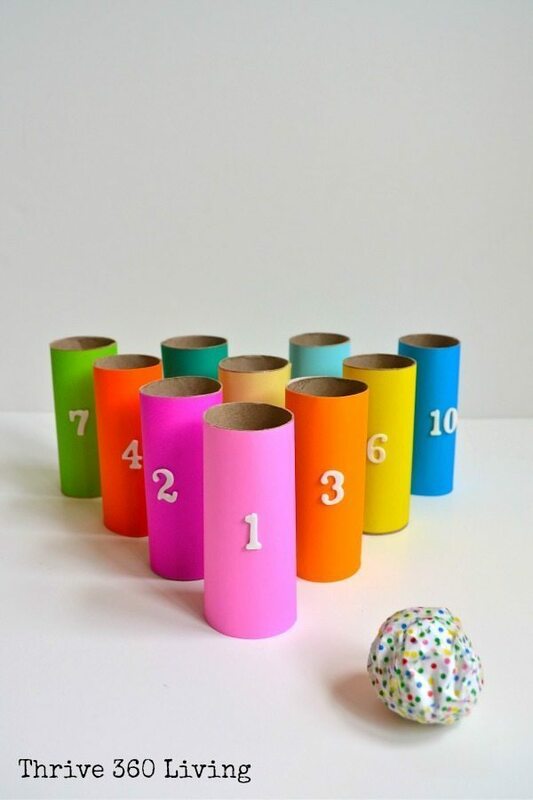 Color Matching – It’s easy to put together a color matching game with your toilet paper rolls. Collect small, colored items from around the house, place them in one small container or several, and you now have an inviting activity for practicing colors. 3. Tube Bowling – We have some plastic bowling pins that my son loves, but boy are they loud when they come crashing down on our tile floor. I love that he can have just as much fun (minus the noise) with tube bowling. To make the ball, crumple up a piece of paper and then wrap tape around it to cover it. I used washi tape for mine. 4. 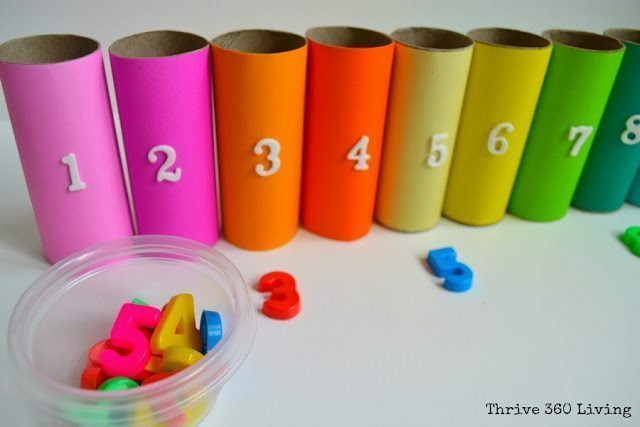 Number Matching – Use magnetic numbers, stickers, or just draw numbers on a piece of paper and you now have a number matching game. 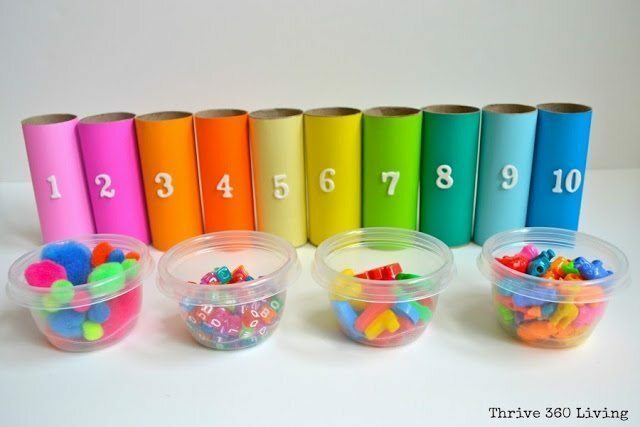 Kids can drop the matching numbers in the tubes or place them in front. 5. Tube Tunnels – As a mom to an enthusiast of cars, trucks and trains, I’m always making tunnels out of something. Toilet paper rolls make awesome tunnels. If you have lots of cars and trucks like we do, it’s easy to turn your tube tunnels into a color matching game as well. 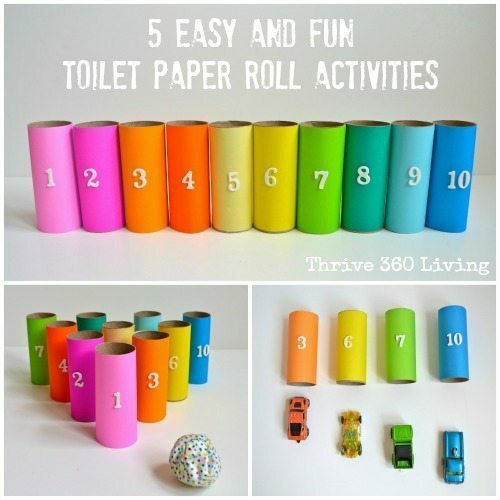 Start saving your toilet paper rolls today! You never know when they’ll come in handy. 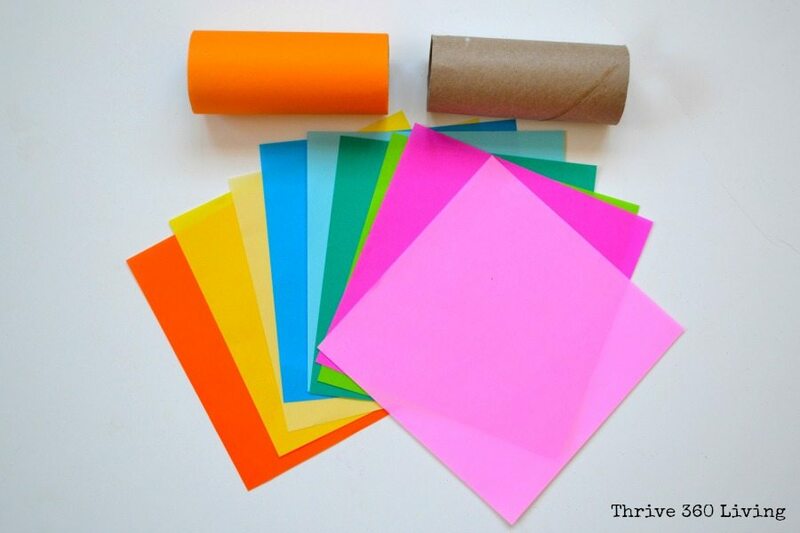 If you enjoyed this post, you can find all of my Kid Crafts & Activities here. 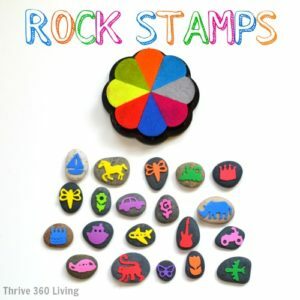 And don’t forget to like Thrive 360 Living on Facebook. 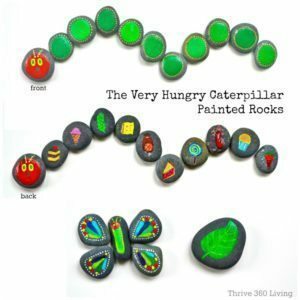 This post is part of the 100 Days of Play Blog Hop. 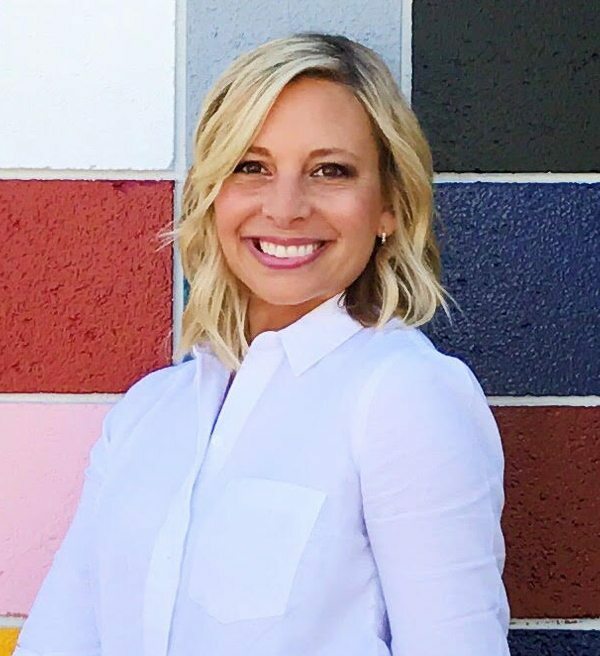 Sharing simple ideas on how to connect with your children through play! 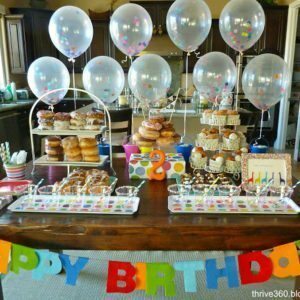 New ideas shared each day from April 1st – July 20th. Pingback: Wat te doen met lege wc rollen? Knutselen!